The Nigerian-British Chamber of Commerce have called on the general public to beware of possible scam on the Nigeria Agricultural Loan. The loan was approved by the Federal Goverment in 2017 to farming inclined persons to improve in production by getting loan. 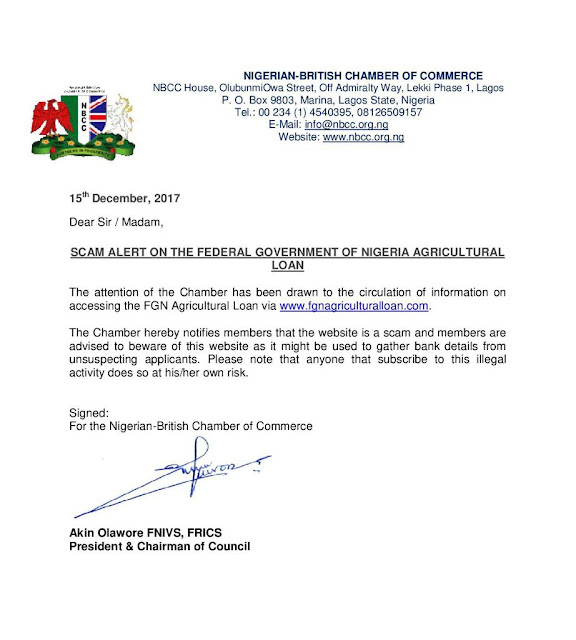 The Chamber therefore warn citizens through a press release signed by the President and Chairman of the Council, Akin Olawore, to beware of www.fgnagriculturalloan.com .